This service is provided by the Frimley Park Hospital but Midwives are based at Fleet Medical Centre. Pregnancy is normally confirmed using a home pregnancy test. If there are no concerns, you do not need to see a doctor and should book directly with the midwife. Ring the reception to arrange this. You will normally be seen at around eight weeks when all the information you need will be provided. Nurse led clinic is held three times a week. Asthmatics are encouraged to attend an annual review appointment to assess symptoms and review current medication. Please bring your inhalers with you to the appointment. We appreciate that people with only mild asthma, using only a single inhaler infrequently, may not wish to take time out of work for an annual review. A telephone appointment with your GP to discuss is recommended in this situation. It is especially important to see children on an annual basis as their dose and frequency of medication may change as they grow. Advice will be given on managing asthma while attending school. If you have COPD do not book into the asthma clinic. Please refer to the COPD clinic below. For useful background information, click on: www.asthma.org.uk. Our nurses run one clinic a week. Appointments are arranged by the local authority Children’s Centre. Parents should receive a letter a week or two before the vaccination is due. If vaccines are delayed you can book directly with a Nurse. It is important you attend on the date specified, but if this is not possible, please contact the surgery. An alternative date will be forwarded to you by post. If your child is ill please call the surgery and ask to speak with a nurse who will advise you. Tell the surgery who will be bringing the child, if a parent/guardian is unable to attend. Written consent from the parents must accompany the child in these circumstances. We provide a coil fitting service at the surgery. The standard 'copper' coil (IUD) and the 'Mirena' intrauterine system (IUS) are available. Coils are fitted by a doctor with the assistance of a female nurse. Leaflets are available at the surgery. Please discuss these options with your GP or a nurse in the first instance. Before coils are fitted some preliminary tests are required. Click here for more details of the in-house arrangements and consent form. For more general information concerning all forms of contraception, logon to www.fpa.org.uk. 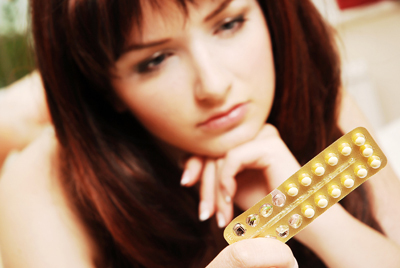 For more general information concerning contraception in general, logon to www.fpa.org.uk. This stands for Chronic Obstructive Pulmonary Disease, also known as COAD and emphysema. Patients suspected of having this smoking-related condition will be referred to the nurse-led clinic for lung function tests using a machine called a spirometer. Patients with established disease will be invited to attend an annual review with the nurse. This will ensure you are on the correct medication to control your symptoms. Information will also be given on what to do during episodes of increased shortness of breath or chest infection. Please bring your current inhalers with you when you attend. This clinic is designed for people with established angina or previous history of a heart attack. It is run by practice nurses with specific training. You will automatically be sent an invitation once a year to attend. Your blood results, diet, lifestyle and medication will be discussed. Blood pressure and weight is measured and fresh urine sample assessed. The clinic will help increase your healthy living awareness and give you an opportunity to discuss any concerns or management issues. If there are any concerns from the review, the nurse will refer back to your GP. Dual registered patients, CHD and diabetics can book one appointment with Sister Twibill. Routine smears are carried out by our Practice nurses. Women aged 25-49 should be screened every three years, and between 50-64, every five years. Appointments can be booked directly by telephoning the Surgery. Results can take up to four weeks and are usually sent directly to your address and copied to your GP. Please call the surgery if no results are received after one month. Click here for more information. Freezing is useful in the treatment of certain pre-cancerous or small slow-growing cancerous skin lesions and warts. It can be used to treat verrucas but we generally encourage use of over-the-counter products first. (Many small painless verrucas do not need treatment at all.) The procedure can be painful with redness and blistering for up to two weeks afterwards. It is therefore generally not suitable for children under ten. 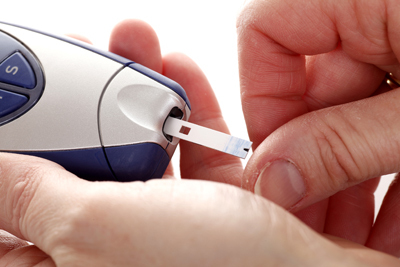 This clinic is for newly diagnosed or established diabetics. There are clinics held four times a week run by the practice nurses. You will automatically be sent an invitation once a year to attend. Please bring an early morning urine sample with you when you attend for the blood test. Your blood results, diet, lifestyle and medication will be discussed. Blood pressure and weight is measured and feet assessed for circulation and sensation. The clinic will help increase your healthy living awareness and give you an opportunity to discuss any concerns or management issues. If you have a history of Heart Disease, please ask to be seen in the combined Diabetic/Heart disease clinic. Dr Durasamy runs a complex diabetes clinic weekly. Patients are referred to her by their GP or Practice Nurse in order to optimise their diabetes control - this service is for type 1 and type 2 diabetics. If required, injectable therapies including insulin will be initiated and overseen in the clinic and patients will be followed up on a regular basis and given full support to make this transition without requiring the need to attend hospital. If you have been advised by your GP or Nurse to check your blood sugars on a regular basis, please ask at reception regarding your free blood glucose meter. A weekly clinic run by Dr Durasamy for non-urgent skin lesions. Your GP will have advised you if you require your skin lesion to be removed. These procedures are only performed for medical not cosmetic reasons. Appointments will be made, in writing, by our administrative team in waiting list order. The procedure will be performed under local anaestetic and sutures may be applied. You should ensure that you protect the wound for one week after the procedure and can attend for removal of sutures as advised at the time of procedure. Click here for more information regarding in-house procedures and consent.